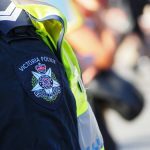 The revelations that Victorian police officers who systematically reported fake breath tests will not face disciplinary action is further evidence that officers are being permitted to engage in misconduct without repercussions. 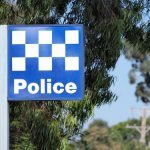 An investigation revealed that in the past five years, Victorian police officers faked 258,000 preliminary roadside breath tests (PBTs). And recent reports suggest the actual figure could be four times that many. Victoria Police says it first became aware of the falsified test results last year, after the Victoria’s Transport Accident Commission (TAC) detected anomalies in police statistics. After a lengthy assessment of five years’ worth of data, the investigation concluded that 258,463 PBTs had been falsified. The investigation found that officers had faked the tests by either placing a finger over the straw entry hole or blowing into the straw themselves, thereby producing a 0.00 reading. The practice was found to be most common amongst officers on general duties and highway patrol members, particularly in rural areas. The speculation as to why the tests were faked ranges from: officers simply being lazy and not wanting to work, to wanting to appear they worked harder than they did, to not wanting to test people they know in close communities, to claims they had to meet test quotas. “This conduct will not be tolerated, any member found engaging in this practice from today has been put on notice they will be investigated”. The statement suggests that those who have engaged in the misconduct to date will face no consequences. 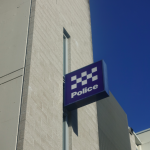 Victoria Police says it is in the process of appointing an external investigator to determine “the root causes of the behaviour” and “supervision and management practices that resulted in the behaviour continuing to go unchecked”. The Police Association’s explanation for its members engaging in such conduct is that they are “overworked and under-resourced”. It says police are expected to conduct a total of 1,100,000 tests a year. However, Mr Barrett has made it clear there are no pressures upon officers to meet targets let alone any financial incentives, and that there is no excuse for the conduct. 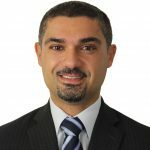 IBAC has expressed concerns that no-one within the police force reported the practice – that TAC was the body to raise concerns when it found data anomalies. 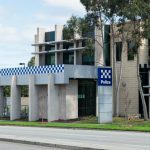 “The evidence that Victoria Police officers have falsified tests is deeply concerning, as is the evidence of a culture that has enabled this to occur and not be detected or immediately dealt with,” IBAC Commissioner Robert Redlich said. In recent times, Victorian Police have been caught misusing the night justice system and engaging in widespread brutality. A damning report released earlier this year showed that assaults, harassment, stalking and predatory sexual misconduct are rife within the force. Time and again, ‘good cops’ have admitted being too scared to stand up to behaviour they witness and know is wrong. There are proven instances where the force will close ranks and work to protect their own in the face of serious allegations, which is why only the most brave will stand up and act as whistleblowers. The culture of misconduct, brutality, cover-ups and police policing themselves must change if trust in the police force is to be restored. 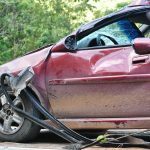 Should We Have Stricter Driver Licensing Requirements? Sonia Hickey is a freelance writer, magazine journalist and owner of 'Woman with Words'. 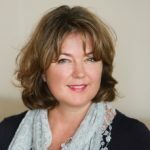 She has a strong interest in social justice, and is a member of the Sydney Criminal Lawyers® content team.